The real-time strategy game Crush Your Enemies is out now on Nintendo Switch via the Nintendo eShop for $8.00. 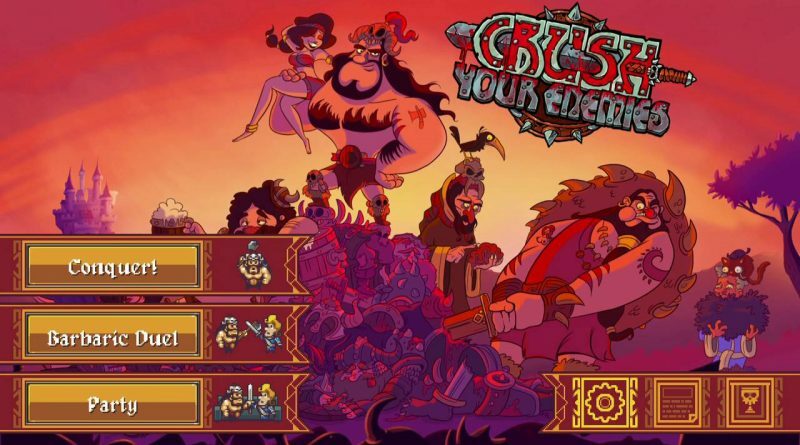 Crush Your Enemies celebrates old-school strategy goodness while doing away with the long-winded matches we’ve come to expect as synonymous with the genre. Players can expect fast-paced skirmishes brimming with deep strategic options, barbarian humor, and downright ridiculous boss battles. Choose your units, manage resources, capture enemy territory, and outwit your oaf-like opponents.